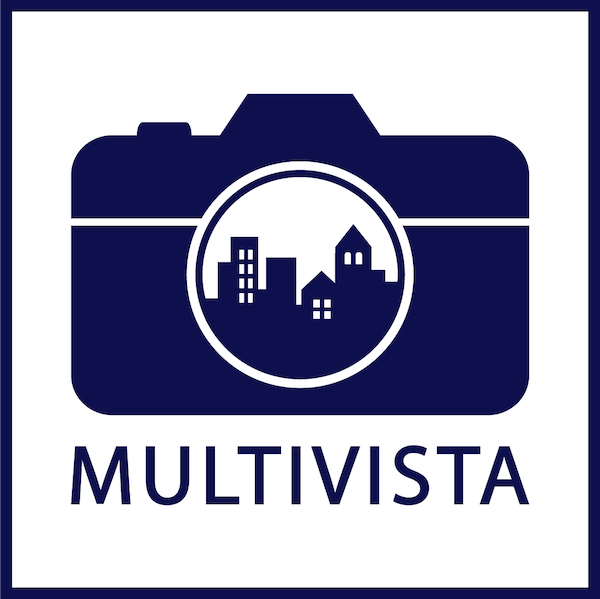 Multivista Systems LLC (“Multivista” or “we” or “us”) respect your privacy. Multivista is committed to the safe and secure processing of personal data and compliance with applicable data protection law. We have implemented appropriate technical and organizational measures to protect your personal data against loss or unlawful access. The number of persons with access to your personal data is limited. Only individuals associated with Multivista that need to process your personal data in accordance with the purposes below will have access to your personal data. How do we obtain your personal data We obtain personal data from you when you register on our Web Sites, furnish our representatives and licensees with your business card or via other method, or when we or our licensees obtain your data from representatives of your company. Legal basis for the processing It is within the legitimate interest of Multivista and your company to process your personal data for the above noted purposes. We use your personal data for fulfilling our contractual obligations towards your company. The privacy impact of the processing is low, as Multivista and our licensees contact you in your professional capacity. We will also share your personal data with suppliers, business partners and licensees and legal agents which carry out services on our behalf such as customer relationship management solution providers, hosting service providers and travel agents. How we have obtained your personal data You provided your personal data through the use of our Web Sites (e.g. registration form completion allowing the placement of cookies). We may have received your personal data when you supplied us with your business card or via other method, or we may have obtained your personal data from your company. Personal data may also be obtained from third-party data augmentation services. Personal data may have been obtained from our licensees. You may have provided us with personal data over the telephone. If you have registered to attend an event with a third party provider, then we may obtain your personal data from that third party provider, where you have given your consent to such third party provider to supply your personal data to us. The purposes of the processing Informing you via any means (including via email, telephone, text message, social media, post, or in person) about our products, services, publications and events which we think may be of interest to you and your company, based on previous purchases and interest shown in Multivista’s products and services. Legal basis for the processing Unless we explicitly request your consent to process your personal data, we rely on Multivista’s and your company’s legitimate interest to send you relevant marketing communications. The privacy impact of the processing of your personal data is low, as Multivista contacts you in your professional capacity. You can opt out of processing for direct marketing purposes by clicking on the “Unsubscribe” link situated within any marketing emails sent to you. You also have the right to object to the processing at any time by contacting Email: privacy@multivista.com. Where you withdraw your consent or unsubscribe (as applicable), we will retain certain personal data (only to the extent that it is absolutely required) on our “do not contact” list. We will also share your personal data with suppliers, business partners and licensees and legal agents that carry out services on our behalf such as marketing solution providers. How we have obtained your personal data We obtain your personal data through the completion of a release document which is available in hard copy and is also available online as well as when you submit to us your personal data for purposes of a testimonial, comment or review. Individuals who access any marketing channel from either within Multivista or outside of Multivista. **Where Multivista has sought your consent to the processing of your personal data then you can withdraw your consent at any time by contacting Email: privacy@multivista.com. Your personal data may be transferred to a country outside of EU/EEA such as Australia, Brazil, Chile, China, Colombia, Hong Kong, India, Indonesia, Japan, Malaysia, Mexico, Peru, Philippines, Russia, Singapore, South Africa, South Korea, Taiwan, Thailand, UAE, United States, Venezuela, which may have a lower level of protection than within the EU/EEA. The transfer is based on the legal basis outlined in How we process your personal data and is for the purpose outlined in How we process your personal data. When transferring personal data to these countries, Multivista uses standard contractual clauses approved by the European Commission to ensure a sufficient level of protection of your personal data. The standard contractual clauses can be found via the following link: http://ec.europa.eu/justice/data-protection/international-transfers/transfer/index_en.htm. You are entitled to know what personal data we are processing about you. You have the right to request access to your personal data and you can request that we provide a copy of such data to you. You are entitled to have incorrect personal data regarding you corrected, and in some cases, you may request that we delete your personal data. You also have the right to object to certain processing of your personal data, and request that the processing of your personal data be limited. Limitation or deletion of your personal data may result in Multivista not being able to fulfill its commitments to you. You also have the right to request data portability, where your personal data would be extracted in a machine-readable format and transferred to another controller. Multivista may not always be obliged to comply with a request from you for deletion, restriction, objection or data portability. Additional circumstances such as exercising the right of freedom of expression and information, compliance with a legal obligation which requires processing by EU or Member State law or processing for establishment, exercise or defense of legal claims can justify further processing by Multivista. Multivista will assess the eligibility of your request and inform you about Multivista’s decision and reasoning. Where you have given us your consent to process your personal data, you can withdraw your consent at any time and without justification. Where you withdraw your consent, certain personal data (only to the extent that it is absolutely required), will be retained on our “do not contact” list. If you have questions regarding how we process Personal Data concerning you, you are most welcome to contact us at Email: privacy@multivista.com. The Multivista Privacy Officer can be contacted at: privacy@multivista.com. Multivista operates within a matrix/division structure and utilizes data processing tools shared between multiple Hexagon Group entities. It follows that your location and your business relationship with Multivista are essential in determining the relevant controller(s) in terms of the processing of your personal data within the Hexagon Group. A cookie is a small text file, which the Web Site you are visiting saves on your local computer. Cookies are used by many Web Sites to give visitors access to a range of various functions. The information contained in the cookie can be used to monitor a user’s browsing behavior. Multivista uses both types of cookies for the following purposes: (i) to collect visitor statistics; (ii) to enable the user to remain logged in to e.g. the subscription service on our Web Site; (iii) to remember user preferences, e.g. language, font size, etc. ; and (iv) to remember user agent properties, e.g. screen resolution, connection speed, etc. This Web Site uses Google Analytics, a web analytics service provided by Google Inc. (“Google”). Google Analytics uses “cookies”, text files that are stored on your computer to help analyze the use of the Web Site. The information generated by the cookie about your use of this Web Site (including your IP address) might be sent to a Google server in the U.S. and stored there. Under the authority of Multivista, Google will use this information to evaluate your use of our Web Site, compile reports on Web Site activity for and provide other Web Site activity and internet related services for Multivista. In addition, Google may also transfer this information to third parties if required by law or if third parties process the information on Google’s behalf. To see details on what Google Analytics collects and how it is used please refer to http://www.google.com/intl/en/analytics/privacyoverview.html. Our Web Site contains electronic images known as web beacons (sometimes called single-pixel gifs) and are used along with cookies to compile aggregated statistics to analyze how our Web Site is used, and may be used in some of our emails to let us know which emails and links have been opened by recipients. This allows us to gauge the effectiveness of our customer communications and marketing campaigns.